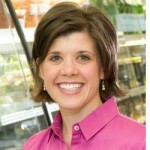 Stroll the aisles of any store and you are sure to feel overwhelmed by the quantity and variety of “healthy food” bars. Many bars are marketed as healthy snack or meal replacement products. Fiber bars, in particular, are highlighted as supplements to healthy diets. However, while their nutrition fact labels may indicate a boost of fiber, not all bars are equal when it comes to the list of ingredients. If you are looking for a high-quality fiber bar, here’s what to actually look for, and avoid. Many bars that claim to be high in fiber are high in other things too. Such as sugar, sodium, artificial flavors and other additives. To mask the flavor of a poor-tasting fiber bar, low quality ingredients become part of the recipe that attempts to create a better tasting bar. The result is a bar that is higher in fiber but contains supplemental and isolated forms of fiber. This can lead to feelings of discomfort such as gas and bloating. If the ingredients list includes bleached wheat flour, sugar, corn syrup, or added vitamins and minerals to mask the other low-quality ingredients, you can easily do better. These ingredients are a sure indicator to seek a better fiber bar option. While Fiber d’Lish is sweetened with natural fruit juices, other bars are sweetened with corn syrup, maltodextrin, and fructose. It’s true. Fiber bars are not located in the produce aisle. They are manufactured to contain higher amounts of fiber. At the same time, unlike fiber supplements, high-quality fiber bars are actually real food and not a “product”. This is because they are made with real food ingredients that are naturally good sources of fiber. Ingredients such as oats, wheat bran, flax, millet, dried fruits and nuts are all foods that you can purchase at a grocery store and use to make your own bars at home. These are the ingredients you want to look for in a fiber bar. The real food ingredients contribute a balance of soluble and insoluble fiber, are gentler on the digestive tract, naturally low in sugar and sodium, and have a natural sweetness without the added sugars. With Fiber d’Lish the source of fiber comes from a blend of 6 whole grains, seeds, and prebiotic inulin. It’s certainly possible to get all the fiber we need from fresh and whole foods. When it’s challenging, a high-quality fiber bar can help. The best fiber bars contain real food ingredients, have a balanced nutritional profile, and contain both soluble and insoluble fiber. Soluble fiber absorbs water and can cause constipation. Insoluble fiber cleans the digestive tract and causes the muscles to contract giving you constipation relief and prevention. 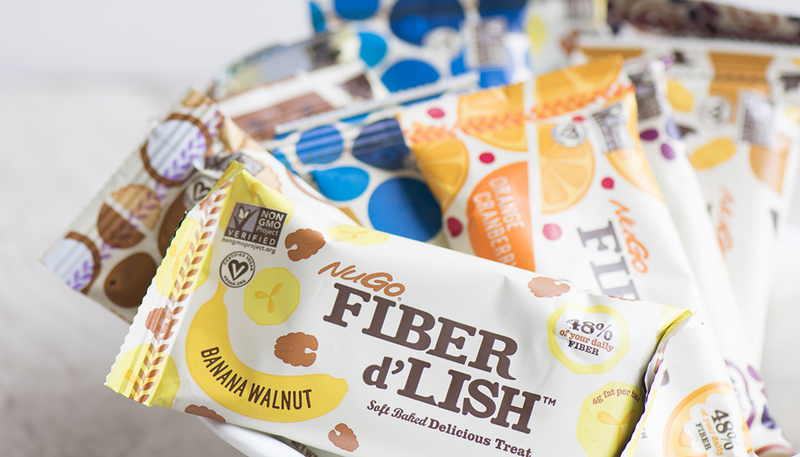 The only fiber bar that contains both insoluble and soluble fiber is Fiber d’Lish. Our unique blend of 6 whole grains and seeds provides both soluble and insoluble fiber. They promote heart health, weight management and healthy digestion, without causing gastrointestinal upset. Fiber d’Lish contains 12 grams of fiber per bar, only 130-160 calories and uses Non-GMO Project Verified ingredients. Our ingredients contribute to a naturally good-tasting bar.